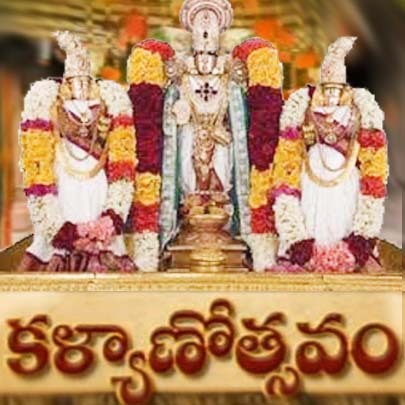 Sri Venkateswara kalyanotsavam is a special seva of lord venkateswara swami. The seva lord venkateswara and goddess lakshmi with padmavathi known as kalyanotsavam. Only two members (wife and husband) are allowed for one ticket. This seva will be performed for 1 hour. And the devotees are allowed in the queue after 9:00 a.m.
For Tirumala Kalyanam online tickets or rooms booking pilgrims need to register as a piligrim or a donor in ttdsevaonline.com website. Visit the official link www.ttdsevaonline.com. After the seva devotee are awarded with two big laddus, six small laddus, one vasthra bahumanam and two vada along with the lord’s akshantalu. It is essential for the devotees, must appear in traditional dress only. The TTD Tirumala tickets for kalyanam are also available at C.R.O office in tirumala before one day is not available now. The only procedure to get kalyanotsavam tickets in tirumala is you have to book in online only. Or you can Enroll Luckydip also one day before (11.00AM – 05.00PM) @ Cro Office vijayabank Tirumala. What is The Procedure for Current booking queues for Kalyanotsavam ?